One of our bloggers wanted a haircolor similar to Emma Stone’s. Here’s the new hue…not a perfect match, but we love it! A few days ago, we wrote a tweet and facebook status about one of our writers who was getting her hair colored. She wanted something like Emma Stone’s red (in the Revlon ad below) but lighter red, blonder or more strawberry blond. The results are shown above right. To get the look: hair was highlighted in blond and then rinsed with a color glaze, creating a red base and overall dark strawberry blond. Our writer has gotten lots of compliments on the new hue, and she likes it…for now. She was hoping for a lighter red than she got, but will enjoy it for a couple of months…until she goes in for single-process color. We are firm believers in experimenting with our hair. As one celebrity hairstylist told us long ago: “Have fun with your hair…it’ll grow out if you don’t like it!” Our sentiments exactly. Of course we know better than asking for Celebrity Hairstyles that are out of our reach…like this one of Emma Stone in rich dark red accented with gold streaks and luscious curls! 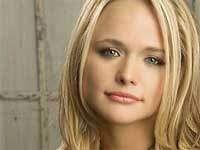 Earlier this year, Miranda Lambert won three awards from the Academy of Country Music and one from CMT. Those honors paved the way for her latest coup: nine CMA award nominations — the most ever for a female in this contest! 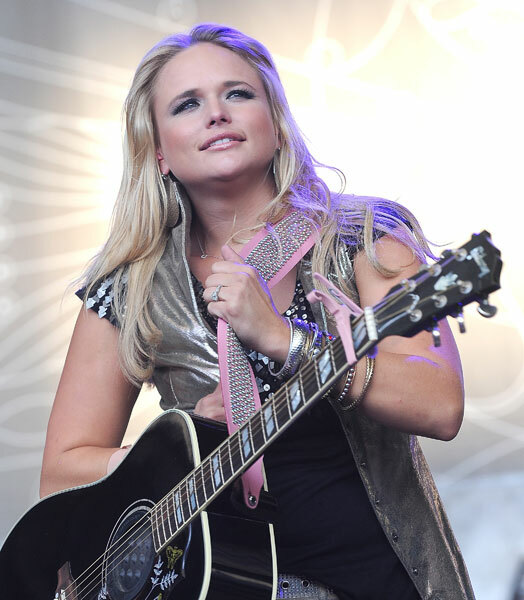 Her album Revolution plus songs White Liar and The House that Built Me put Miranda in the running for this year’s top Entertainer, Album, Song, Female Vocalist and Musical Event. What’s more, she’s been nominated twice for Single and Music Video of the Year. While her career is soaring, Miranda’s hairstyles have stayed down to earth. The flashiest touch is chunky red highlighting through pale blond — the perfect match for her fiery Texas voice. The styles shown here prove how versatile long hair is, but they also offer fresh ideas for medium-length cuts. Her easiest ‘dos are straight, with hair worn off or on the face. Blow-drying small sections of hair at a time polish it up. For a change of pace, the rising star chooses side bangs, volume and a little loose wave. 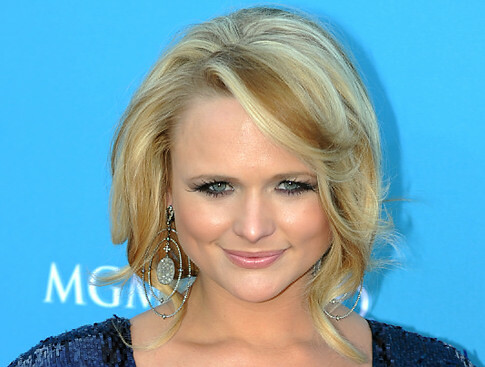 She wore this style for a special date with fiancé Blake Shelton to the CMT Awards show. (BTW: the couple will face off in three CMA categories: musical event, single and music video of the year). To do the coif, apply a strong-hold styling product to damp hair. Use your fingers to blow-dry and finish with a large round brush. To get the most elaborate of these coifs, hair should be volumized before being swept back. Create big curls around the face to soften what could be a severe style. No matter what happens with the awards, it’ll be fun to see if Miranda’s hair changes between now and the CMA show in November.